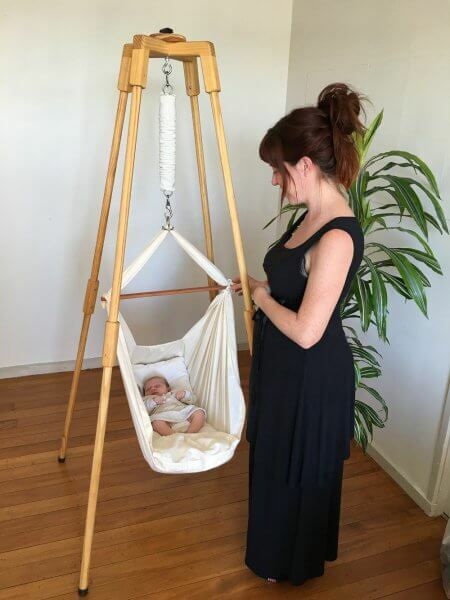 Natures Sway are proud to announce their latest arrival – the Eco stand. For many years it has been a dream of ours to produce a wooden stand to compliment the natural elements of the hammock and finally we found a local wood-crafting family business just as excited as us to produce this sweet little baby! At only 4kg it packs down into an 88 x 24 x 8cm box you can take it anywhere. The cleverly designed aluminium lined leg joints hold the poles securely in place with full length stainless steel screws. And the top cross bars are solid and strong enabling the whole structure to take over 170kg maximum weight – over 10 times the working weight for your baby. Made with beautiful golden coloured heat dried pine, this wood is grown sustainably and comes untreated and sealed with food grade natural oils and wax. Carefully sanded and finished our crafters pride themselves on high quality inspection of every individual piece. Just like a tree, the wood will flex and bend a little well before it breaks so you can rest assured this stand can take plenty of movement with your little one on board. Now beyond the commercial realities of press releases and promotional material we really wanted to just be transparent about our logic and process for the design. 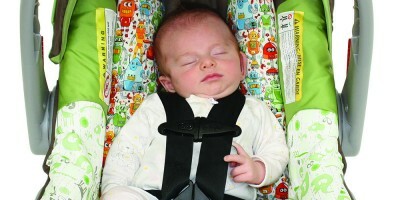 We hope the following will be both informative and reassuring and demonstrate some of the thought and care we put into our products – with your family’s safety and comfort in mind. Like the tubular metal stand we have been producing locally for well over a decade, the Eco stand has the 4-legged design for great practical reasons like ease of construction, space saving, superior height, portability, packing down and downright stability. Alternative designs like the crescent moon stand are visually appealing but ultimately less practical, they take a lot of floor space and you have to compromise on height to gain stability. Or with the Scandinavian Tripod design – lovely to look at – but it tips over if you don’t attach or prop it to the ceiling (got to read the small print to work that one out). We have stuck with the practical functional 4-legged design because a: it’s height allows us to use the specially designed barrel spring and keep the primary motion of bouncing b: baby is still about 40cm off the ground so you don’t have to get on your knees to put them in and out c: it has a small foot print both literally and metaphorically d: it is super stable and the legs restrict any swinging thus is practical and safe. Why so tall? -With the Natures Sway hammocks, a defining point of difference is the quality of the primary motion which is the bounce. A gentle yet full action that actually requires some room, and we think the amount of movement is worth it. We have worked closely with our spring designers to custom make a short barrel spring to give the best bounce within the average weight range of babies new-born to 6 months. Having such a spring requires at least a half metre of space to operate hence our stands need a good amount of height. Why 4 legs so close together? -The consequence of having the centre of gravity high is you need to keep the hammock within the boundaries of the 4 legs, so we have made the legs closer together in order to keep the hammock central. The big win with the Eco stand is the much smaller foot print of the stand allowing you to fit it in much tighter places… like by the parental bed in the master bedroom, or in smaller homes which are on trend at present. Note: If you really want to swing the hammock, you can purchase it with the ceiling attachments which secure into a suitable overhead beam and keep clear of obstacles. 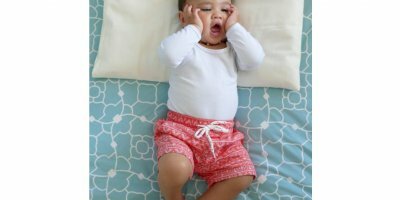 With our launch of the Eco stand this year at the various Baby Expos around the country we enjoy demonstrating how bouncy the hammock is and then seeing the surprised looks. 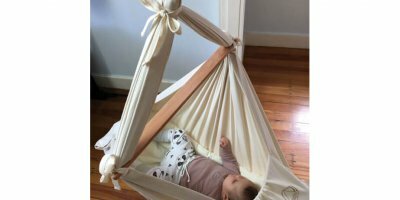 That is the great thing about single point baby hammocks, they can bounce in one spot unlike an adult hammock with 2 ends to attach and which is made to swing side to side. We figure a lot of the natural response for humans comforting and holding babies is to jig and bounce them with just a bit of sideways swaying. 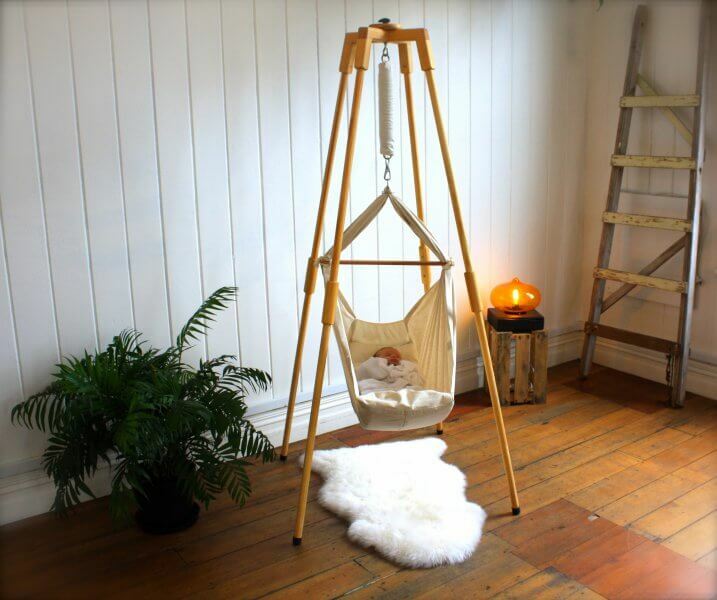 This is a great description of the movement the hammock is able to engender and magnify, thus giving your baby a huge amount of natural comfort and security while you give your loving arms a well-deserved break. We hope you will see the benefits in investing in the hammock and Eco stand yourself or maybe feel inclined to recommend to your family and friends. 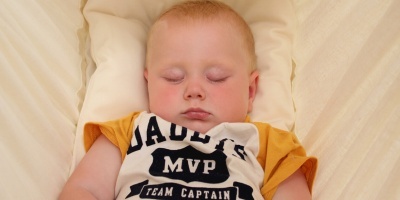 It is a hand crafted and aesthetically pleasing item that can fit almost anywhere, it is usable for about twice the time of a standard bassinet, and it really is one of the most portable baby beds around!